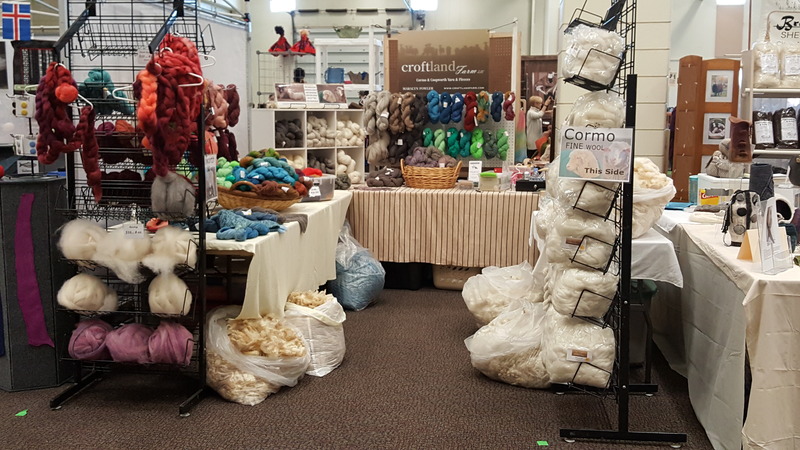 Farm fiber booth at the WI Alpaca & Fiber Fest. Coopworth yarn is produced as handspun and mill spun. Most wool is blended approximately 80% wool/ 20% locally produced mohair to enhance the luster of the yarn. 100% wool also available. Cormo yarn is 100% Cormo wool. It is 3-ply mill spun yarn in sport and DK weights. Dyed yarns - solid colors and painted skeins.